Collotype and screenprint printed in colors, a fine, fresh impression of the only known state, the full sheet printed on smooth white Schoeller Elfenbein-Karton paper, with margins, signed, dated, numbered and titled in pencil, executed in an edition of 140 (there were also 14 Artist's Proofs), the collotype printed by the artist (from a Polaroid photograph of Richard Hamilton by Francis Bacon) with the assistance of Heinz Hafner at Eberhard Schreiber, Stuttgart, the screenprint printed by the artist with the assistance of Dieter Dietz at Dietz Offizin, Lengmoos, Bavaria, published by Professional Prints A.G., Zug (Petersburg Press S.A.), with several pressure marks in the lower margin, a extremely slight nick in the left margin, otherwise in fine condition, unframed. London, National Portrait Gallery, Richard Hamilton: Portraits of the Artist, 19 December 2011 - 14 May 2012 (another example). New York. 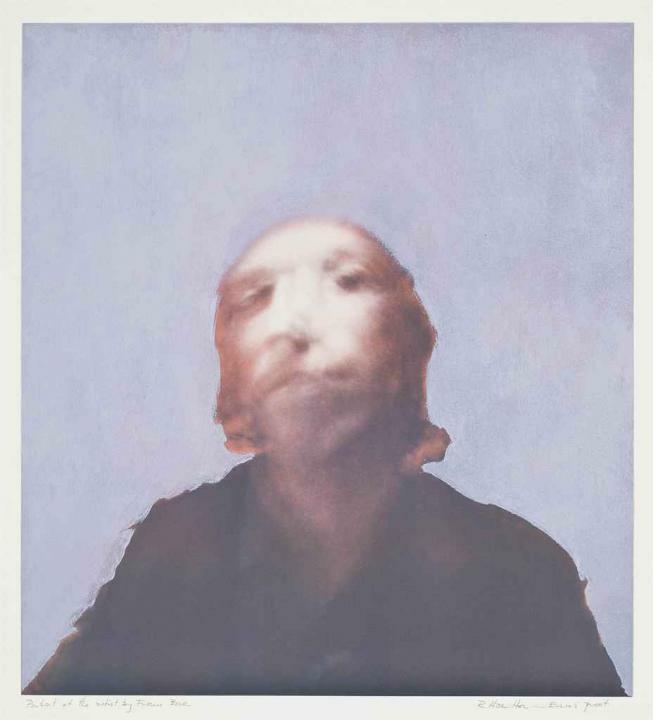 The Metropolitan Museum of Art, Richard Hamilton: Selected Prints from the Collection, 1970–2005, 16 December 2009 - 02 May 2010 (another example).